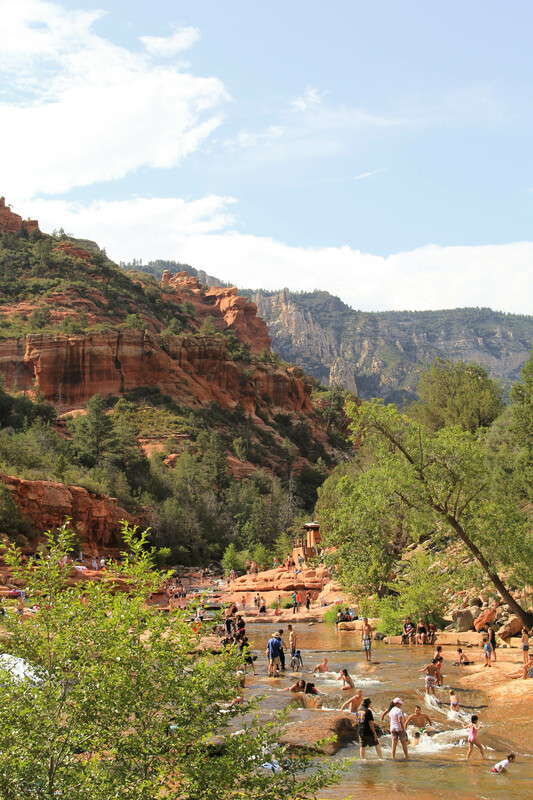 From ABQ we drove west to Arizona, south through Flagstaff, and along the winding switchbacks of Oak Creek Canyon to our campsite in the woods. 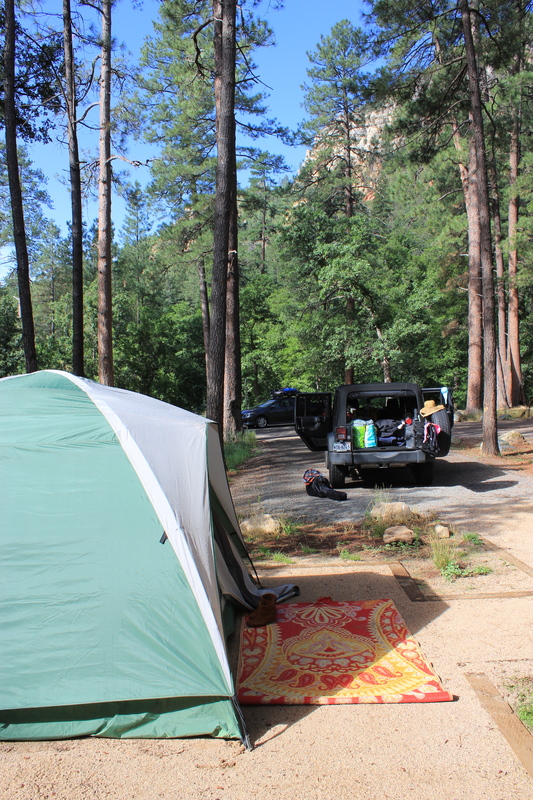 This location has been one of our favorite campsites so far: tall pines all around, the sound of Oak Creek just a little ways away, and a giant rock face backdrop to it all. We set up camp (which is starting to feel a lot like home these days), and closed the evening with some music practice – new song coming soon! The next day was packed with so many good things; we immediately named it the most exciting day so far. 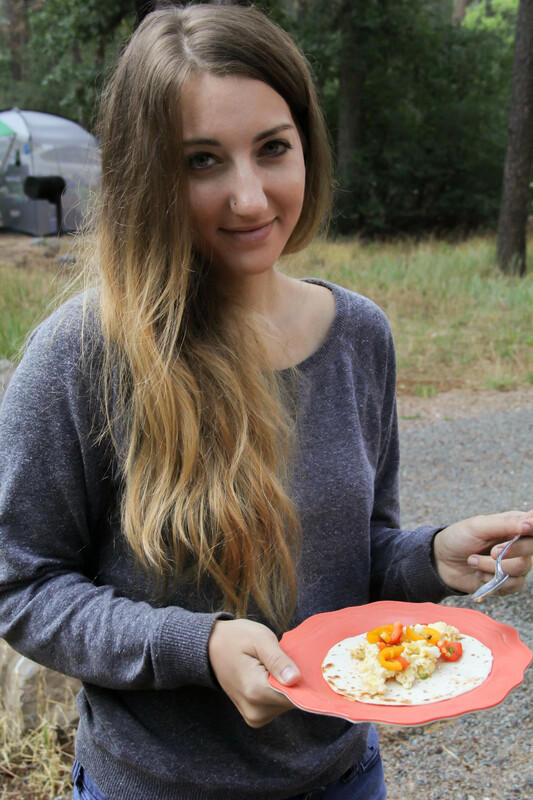 We started with a delicious feast of breakfast tacos! 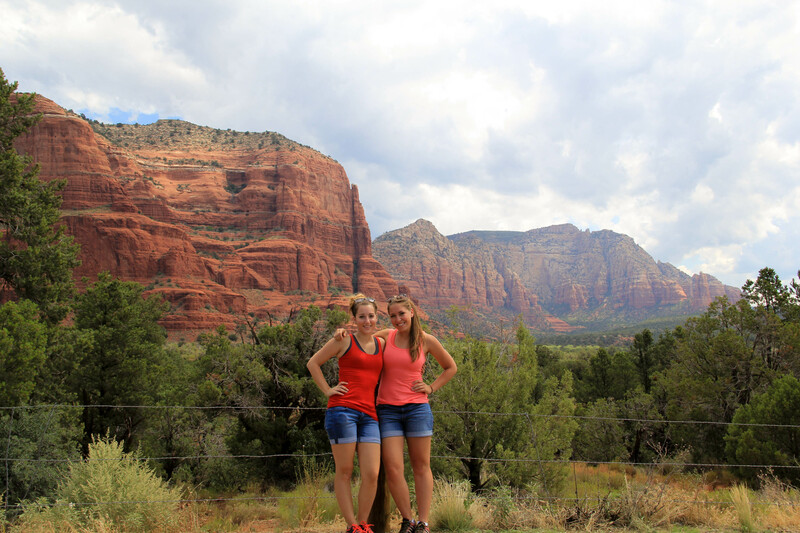 Then meandered down the rest of Oak Creek Canyon and onto the “All-American Road”, stopping several times for photo ops. 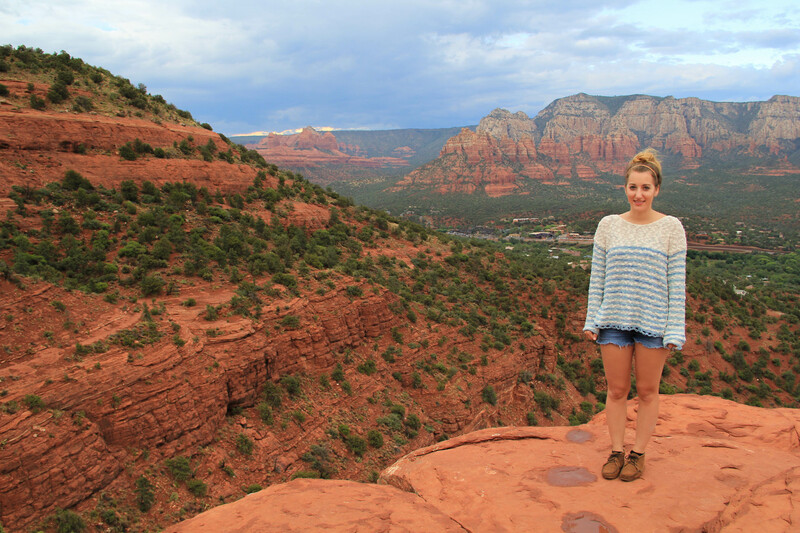 We could not get over the red rocks. 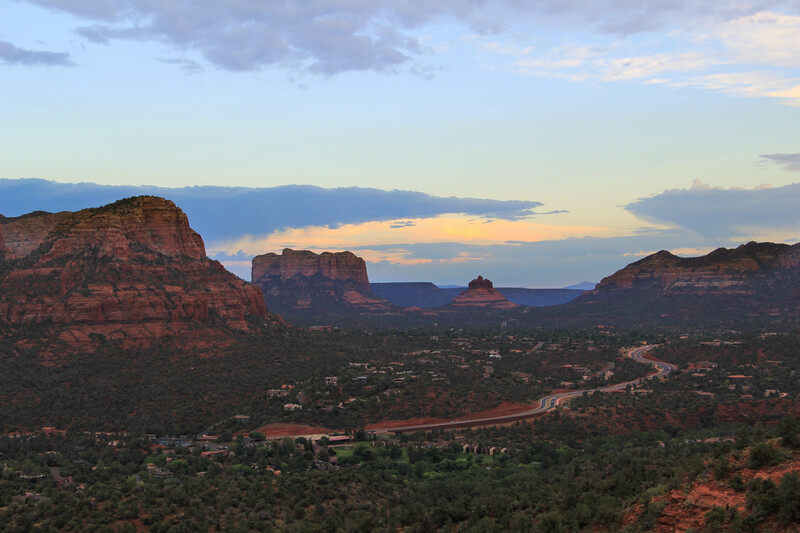 Sedona is really, so beautiful! Eventually we found our way to Rock Creek Park and finally got in some real hiking! We hiked up to Eagle’s Nest – the highest point in the park – only to see (you guessed it) more terrifying lightening across the valley, on another peak. We hightailed it back to the car & found a frozen yogurt joint in town. 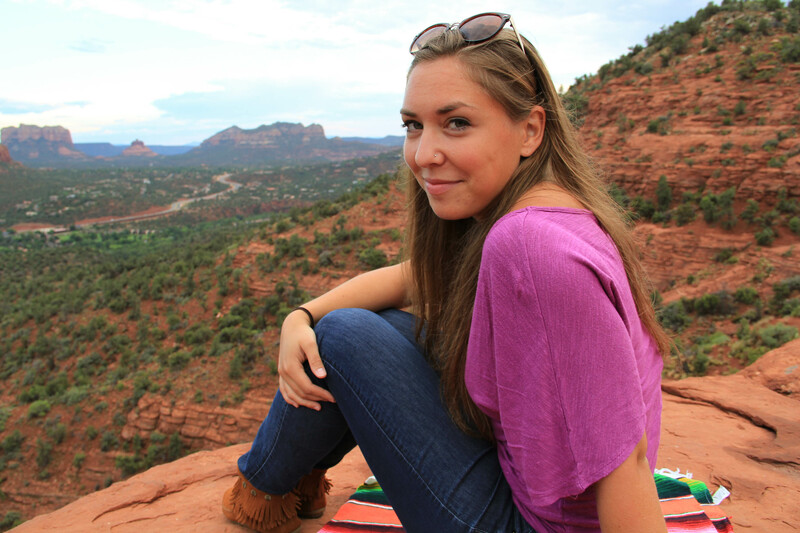 After the rain passed, we did a little shopping at a Native American jewelry market before heading on to Slide Rock. 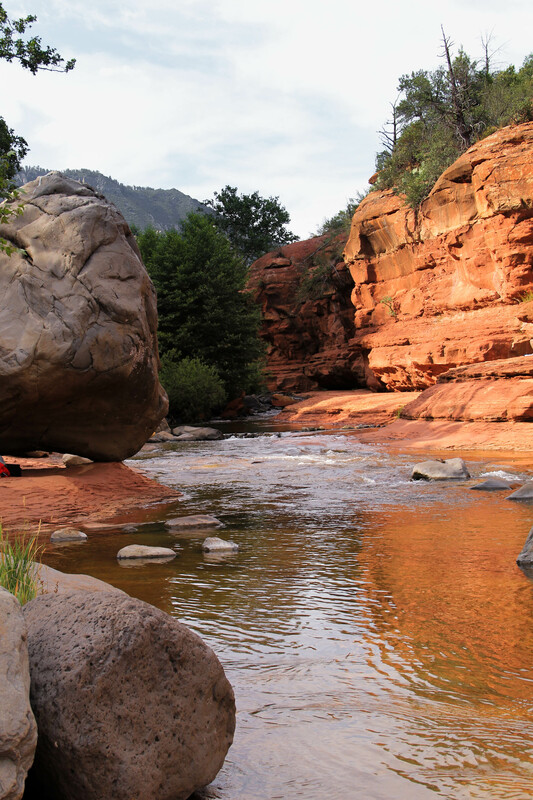 Slide Rock is one of the neatest things we’ve seen yet. 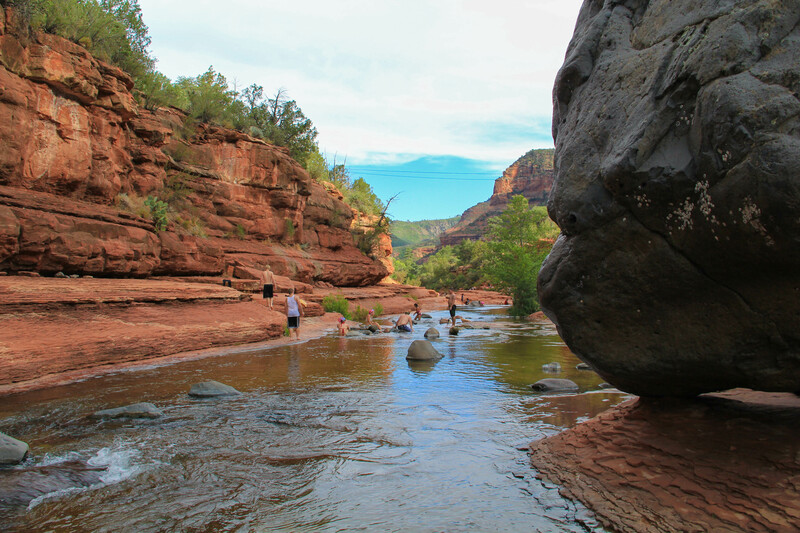 The park gets its name from the shallow river cutting through the red rock canyon, making the rocks underneath it incredibly slippery. The river is kind of teeming with families, people of all ages, sliding along the slippery stream, struggling to stand, cliff jumping in certain deeper parts of the river, and relaxing on the rocky banks. We hiked a ways up river till we found a more secluded section and enjoyed an ice cold, refreshing dip. We got back to the car just before a second wave of storms rolled in. 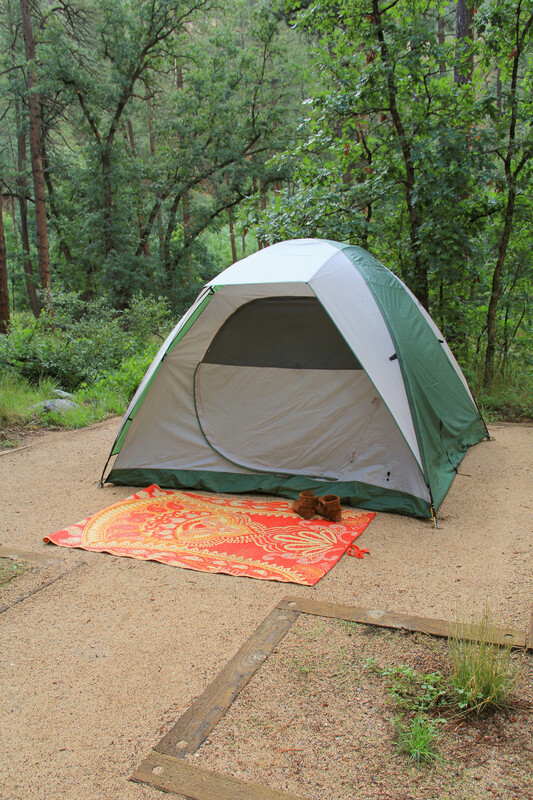 Upon returning to camp, we sadly noticed our tent had shifted & the rain was pooling on a small section of our tarp. Some quick refolding, drying, and tying down before heading back to Airport Road for the sunset. Breathtaking. 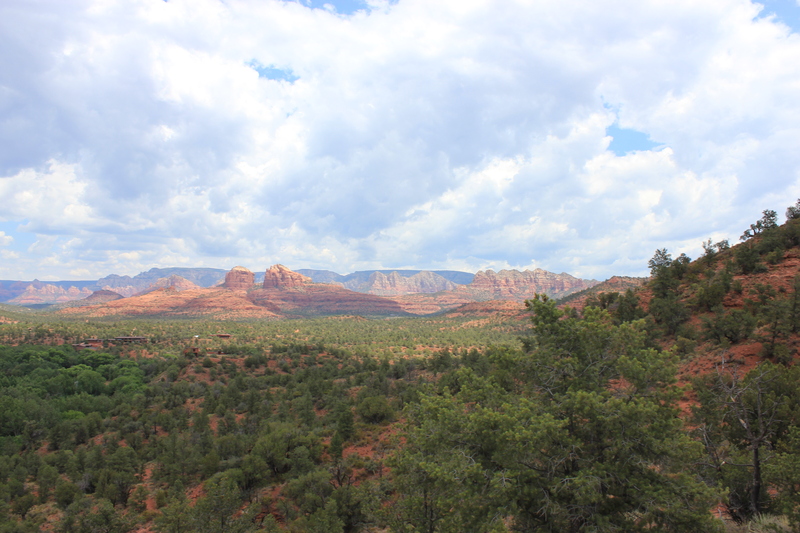 We managed to find a small peak with a 360 degree view of red rock formations. The sunset was soft and wispy, but the colors and the vastness were still awe-inspiring. Once we finished soaking it in, we drove home. Spaghetti & salad in the dark and an early retirement to sleep after a long and exhausting day! 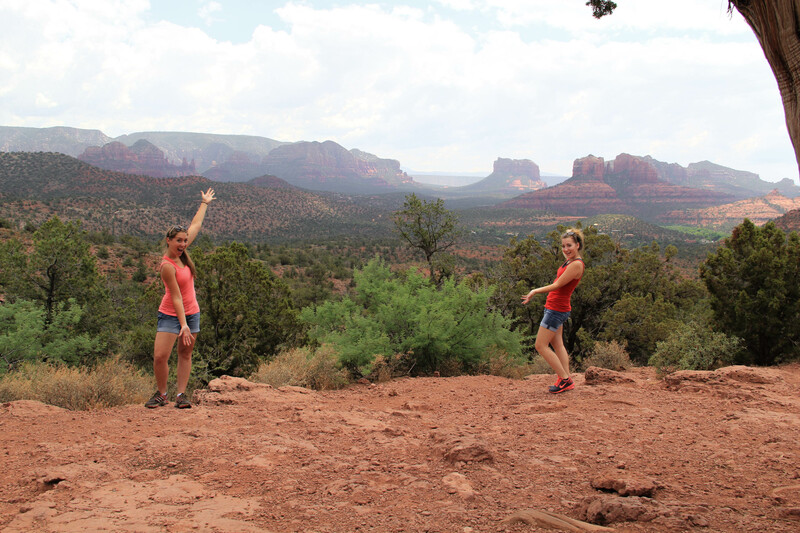 Best way to see Sedona, though, hands down! ^^^ If you can believe it, completely unstaged. 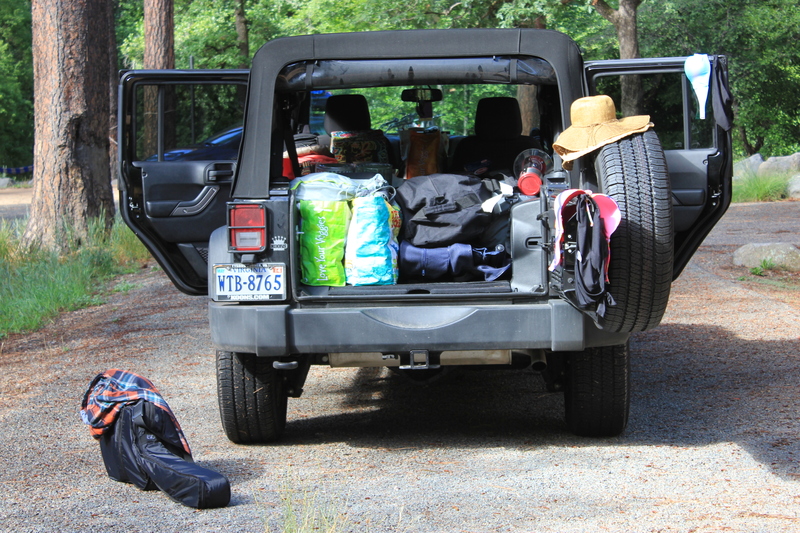 Packing up camp & on to the Grand Canyon!